The Secret Sins of Economics. Chicago: University of Chicago Press. How to Be an Economist* *Though Human. Ann Arbor: University of Michigan Press, 2000. 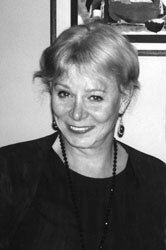 Measurement and Meaning in Economics: The Essential Deirdre McCloskey. Edward Arnold, S. Ziliak, ed., 2001. ©2018 The Board of Trustees of the University of Illinois.